Every year, manufacturers, inventors, technologists, investors, and committed consumers gather in Las Vegas for the Consumer Electronics Show (CES). The convention usually brings together some of the most out-there new products of the year. You can usually find a good deal of unimaginative and truly useless products on the floor as well. Every year, there tends to be at least something fishing-related and CES2019 did not disappoint. This year, a major trend at CES was smart devices and internet of things (IoT) devices. Notable examples included a smart bottle opener, a smart mirror, and a smart travel mug, three every day objects that are 100% ripe for disruption. Also in this IoT whirlwind appeared Cyberfishing’s Smart Rod Sensor. 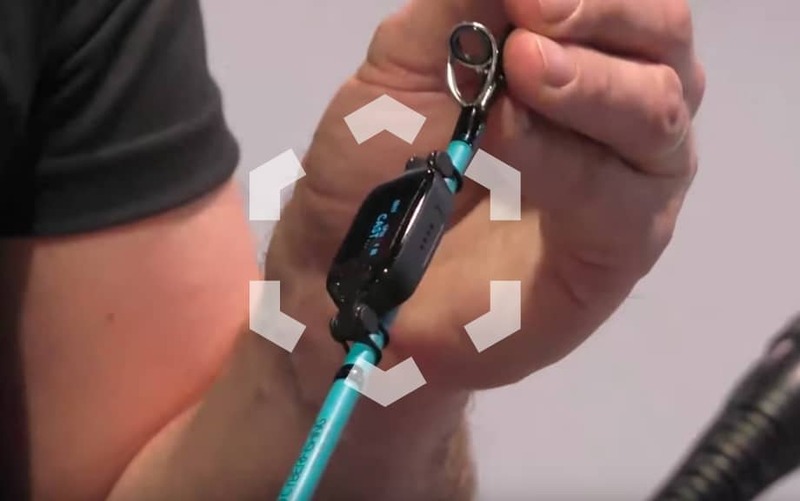 In one sense, this product is essentially a fitbit for your fishing rod. It attaches to your rod with heavy elastics and records your fishing activity over the course of your time out on the water. Instead of recording steps, however, it captures fishing conditions and your catch rate. It collects data on the surrounding weather, like temperature, wind speed and direction, precipitation, and barometric pressure. In addition, it compiles that info with when and where you catch a fish. The device links to a smartphone app and pairs via bluetooth. As you use the device more and more, it compiles data on where you have had fishing success under what conditions. The company also plans to establish an online community where anglers can upload their data. It’s also lightweight (9 grams), waterproof, and contains rechargeable batteries. It also landed on the shortlist of CES’ Honorees in Innovation Award. If all of this sounds vaguely familiar, it’s because the device, app, and community platform are all very similar to Tracker offering from Anglr Labs, which was the talk of last year’s CES. Another trend at CES2019 was drones. While many of the 4,500 trade exhibits showcased aerial drones, aquatic drones also figured in heavily. That said, the offerings at the show like the Navatics MITO and the Geneinno Titan, focus primarily on the “fishing adjacent” activities of underwater photography and research. Both came across as very slick in form factor and presentation. In other words, not much like the average fishing product. Underwater drone makers seem to be giving the fishing concept a wide berth. Of the drone concepts that are out there, PowerVision’s PowerDolphin is still the only underwater drone with a dedicated fishing bent. The PowerDolphin actually comes equipped with a huge amount of different technology and capabilities, building on the success of the currently available PowerRay. It has a sonar scanner that can identify fish and map lake or ocean floors. It has a compartment that can hold and release bait in a specific region. Also, while we have not seen any evidence of this in action, the drone also has the ability to trail a lured or baited line behind it, allowing anglers to swap out their rod for a controller. As we wrote in a previous post about the PowerDolphin, there’s always a bigger fish. If you hook a piece of bait on a line attached to this device, in other words, there’s no knowing when a mature barracuda is going to come along, take a bite, and drag your new device far, far away. When last we checked in on this device, it was still in development. It is now, however, available for preorder in three different packages (Standard, Explorer, and Wizard). They’ll start shipping out in the first quarter of 2019. Featured image courtesy Connected World on YouTube.